This article about bullying in strata has been supplied by Frank Higginson, Hynes Legal. Question: We feel have been experiencing bullying. Some of our onsite owners have zero respect for us and enjoy bullying and treating us like dirt. They are unreasonable with their requests. How can we best handle this? My husband and I own a magnificent Management Rights business and we love it. It’s like never having to go to work when you enjoy what you do. In fact, the only unenjoyable thing about the place is the current bullying. Some of the onsite owners have zero respect for us and enjoy bullying and treating us like dirt. They think it is their right to speak and email us in a very nasty tone. Often bluntly and in capitals and exclamation marks!! A resident (on the committee) asked to speak to specifically one of the two Building Managers and they were advised that particular person wasn’t available. The resident demanded they must be called back by a certain time. The time frame was 1.5 hours. So there are three things here I would like to clarify. Can a Committee member demand you do something in an unreasonable time frame? In this case, we are talking 1.5 hours. Are they able to withhold information from either Builder Manager when it is quite possible either could have helped and provided the necessary information? Is one building manager on call at any one time sufficient? Do you agree this falls into the category of bullying? Answer: To me, this smells of a lack of professional respect and it sounds like some parameters need to be reset. To me, this smells of a lack of professional respect and it sounds like some parameters need to be reset, but it is also that time of year when everyone has had enough and tempers can be a little short. No one is entitled to ‘demand’ a response in a time frame. Asking nicely for one is far different and usually leads to a far more positive outcome. For this one, all I would do is suggest that the answer should have been that the message would be passed on and when they are available they will no doubt come back to you. People get busy or uncontactable for all sorts of reasons – it happens in here a lot as we can get caught up in all sorts of things. It does also sound like some of the conduct could be that which was considered in this matter where a chairperson was ordered to stop bullying a caretaker – read on further. There is no excuse for rudeness. I suggest it is time to start to rein in that type of behaviour if it continues. Managers cannot enforce by-laws for the body corporate. They can as agent for landlords through tenancy agreements for properties they manage on instructions of those landlords. Otherwise, it is committees who must enforce by-laws. We first wrote about that here in 2011: Does a resident manager enforce by-laws? There are rules around committee spending which we covered here: Body corporate spending limits. The chairperson wanted to sign off on some spending without committee approval. The manager pulled him up on that and the chairperson’s response was to call the manager ‘stupid’. This old chestnut made its usual appearance. This management rights agreement had been varied many years back to arguably cover some tree lopping. There was lots of argument over what heights the manager had to work to, which we covered here: Working at heights in management rights. Sarcasm, derogatory or belittling language is also simply not on. Adding some snark is always easy to do when you are frustrated, but it never ever helps sort out stuff like this. Both parties here were self-represented which led to some concessions and argument on both sides that were simply misguided (or wrong). Take the whole by-law argument for example. Everyone got hung up on the difference between ‘police’ and ‘enforce’ and what the caretaking agreement said when if a reference was made to the BCCM Act, the argument was over. 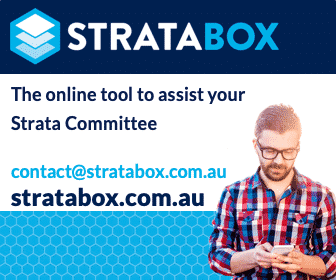 A few years back we ran a webinar on bullying in strata. If you are interested in watching it, click here: Bullying in Strata Webinar. This post appears in Strata News #201. This article has been republished with permission from the author and first appeared on the Hynes Legal website. Question: Input from a pedantic lot owner is getting to the point of building manager harassment now. Can the building manager breach a lot owner for harassment, or is it a police matter. A unit owner at a strata complex is constantly voicing what he sees as wrong around the complex directly to the building manager whilst trying to perform his duties. They literally pointing out every weed, bin not in the correct spot, every car that just parks on the grass for a moment to the point of bullying. The funny part is, I have photos of this exact person parking on the grass on 2 separate occasions. The property is absolutely immaculate with high-quality tenants so it is quite clear that this person thinks that there should never be a thing out of place. A few leaves or an odd sprout from a hedge would seem out of place, that’s how perfect the property is. This is getting to the point of building manager harassment now. Can the building manager breach a lot owner for harassment, or is it a police matter. Answer: Other than in a letting capacity resident manager has no direct relationship with lot owners. A resident manager definitely is not accountable to owners for caretaking services. The manager is a contractor to the body corporate with respect to caretaking services. They are also a service provider to owners who choose to engage them for letting services – and that is obviously not every owner. Other than in a letting capacity resident manager has no direct relationship with lot owners. A resident manager definitely is not accountable to owners for caretaking services – they are accountable to the committee, and ideally just the committee representative (which most management rights agreements require the appointment of). It is very difficult to report to, and take instructions from, up to seven people. So, assuming this owner isn’t on the committee and isn’t the committee representative, the manager can ignore them. Handling that then becomes the issue. What I think should happen is the committee should intervene and request the owner to desist and if the owner still talks to the manager about caretaking issues, the manager should direct the owner to make those requests to the committee. Occasionally we have been engaged by committees to help right these types of ship and engage with the owner who is causing the issues. The building manager does potentially have rights though with respect to his or her workplace. We wrote about those here: Bullying in strata. The committee does need to be mindful of this. QLD: Q&A Can Chairman Hold All 3 Positions on the Executive Committee? Can a BC Caretaker Contractor sign a document on behalf of a BC to borrow funds ($340,000) for BC Insurance premium funding in the name of the BC with no general or committee meeting minutes and without any Lot owner approval? A copy of a current loan document signed off by the BC Caretaker and co-signed by the Chairperson on behalf of 129 Lot owners CTS recorded on BCS BC records without any BC approvals from the lot owners. Insurance levies are applied separately from sinking and admin levies quarterly but the insurance levies collected have not been applied to the annual insurance premium, instead the full cost of the Insurance premium has been borrowed with no BC authorisation in the name of the BC. What can very concerned CTS Lot owners do about this? In this instance, it may be best to contact your strata manager directly with your concerns to discuss the matter.